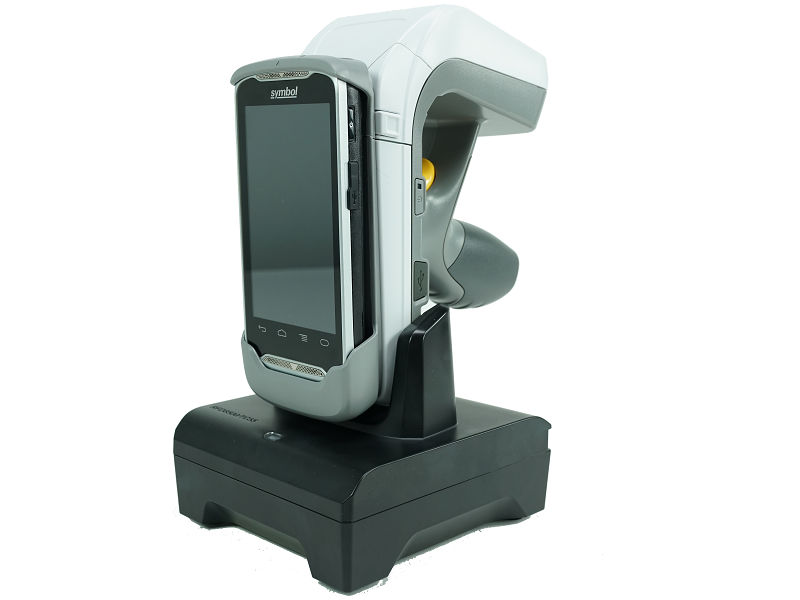 Introducing the Zebra RFD8500 Series of UHF RFID readers and barcode scanners! 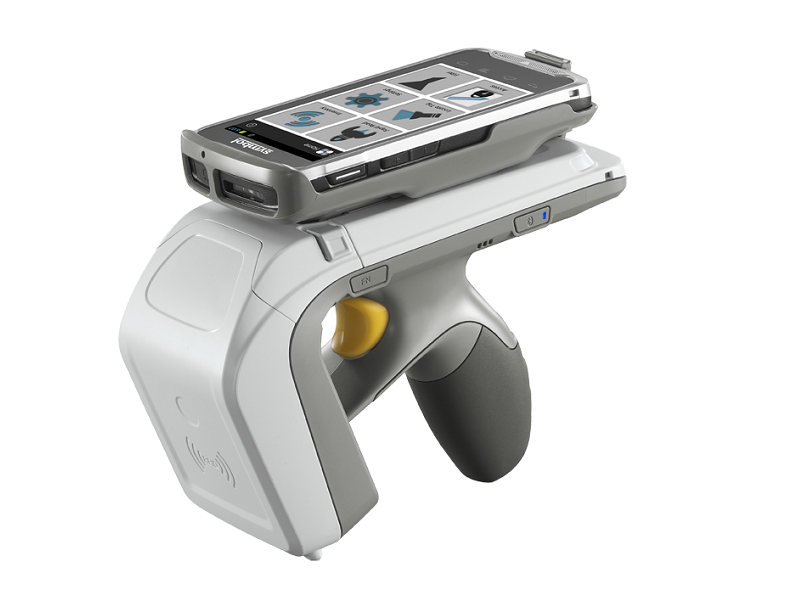 With these devices, you enable your Android or iOS-based mobile computers (either from Zebra or other compatible third-party companies) to collect data from multiple RFID tags at a time and scan barcodes with a click of the trigger. Pair this Bluetooth-enabled sled to your mobile device, attach the device to the top cradle of the RFD8500, and have an all-in-one scanning solution for both codes and RFID tags. 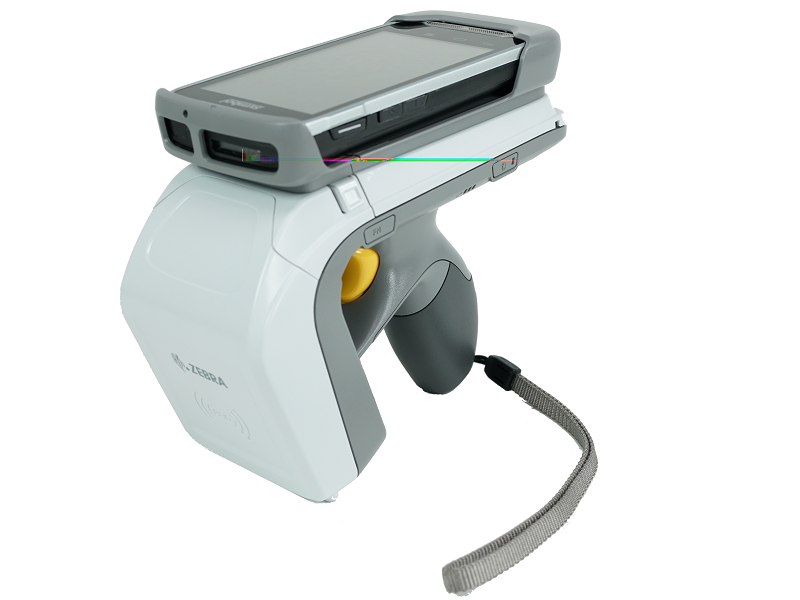 Or set your connected device in a holster and use the reader in standalone mode. Either way, you'll be collecting data rapidly with minimal setup. Working now with Android and iOS devices, the RFD8500 will soon communicate with Windows machines, making it a solution for today and tomorrow. RF tech allows for multiple items of information to be gathered from each tag with one simple trigger-pull, allowing you to scan data from a whole shelf or stack of warehouse units at a single pass. The ergonomic design allows for ease of use as you move from zone to zone, and from standalone to seated-device usage. When away from a paired Bluetooth device, the RFD8500 goes into a batch mode, allowing you to collect and store up to 500 barcodes (with the scanner model), and over 40,000 RFID tags before needing to get uploaded elsewhere. Find it faster! Click here to compare RFD8500 models by feature.